If you own a Northern breed (or any long coated dog for that matter) like we do, chance are you dread summer far more than winter for one simple reason; we hate the dang heat. I’m sure many of you have felt the guilt that comes with needing to limit your dogs activity during the brutally hot days we get in the summer. It leaves us frustrated and our pets annoyed and restless. Some conventional options for keeping your pet cool are staying hydrated with cool water, going for swims and staying in the shade. Another solution for keeping your pet cool is to use a cooling vest; we put the Hurtta Cooling Vest we received from Hurtta North America to the test. 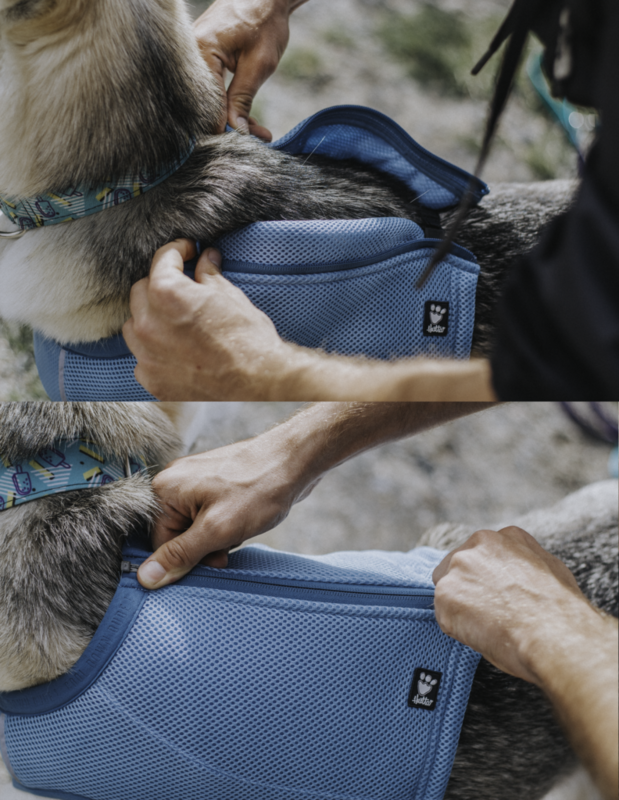 The Hurtta cooling vest works by soaking the vest in water and placing it on the dog; the light colored sun-reflecting fabric slowly dries. As the water evaporates from the fabric it brings cooling relief to the dog. This vest served very useful during a variety of activities including daily walks around the neighborhood during on hot afternoons, it was worn on trail hikes and on visits to the beach. 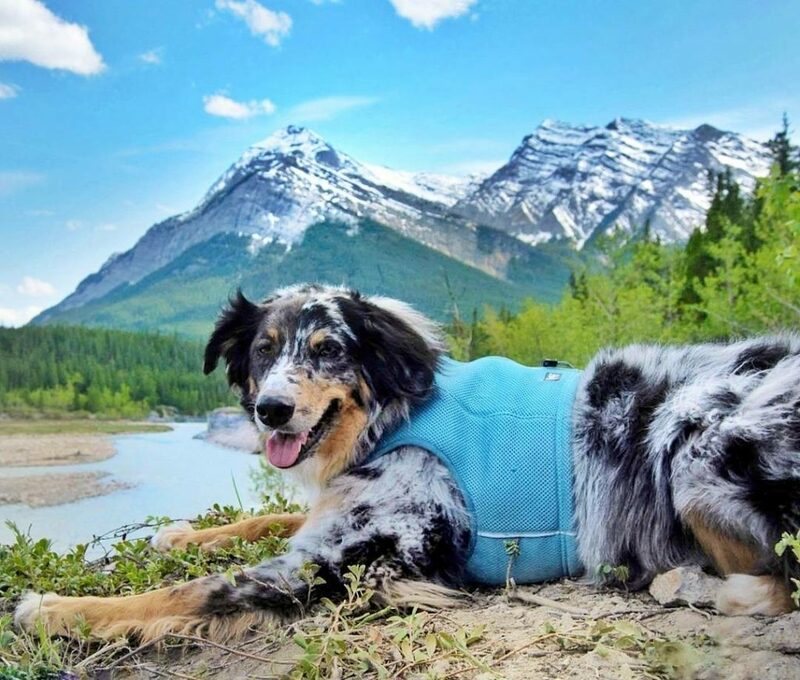 Our favorite use of this vest was while camping; after a long day of enduring rigorous exercise on the trails the dogs had a way to stay cool while being forced to be outside for the rest of the day at the campsite. We typically would dress River in the vest after saturating it in cool water (I like to stick it in the bottom of our cooler to soak in the ice water). At times I would also leave the vest dry and either pour water bottles over it at our destination, or put it on River dry for her to wear in and out of the water at the lake. The Hurtta Cooling Vest comes in two light colours (blue & lilac) as light colours help reflect the heat and seven sizes ranging from XXS – XXL. We tested the blue Large size on our 50lb Husky-Shepherd mix River. The vest fit her like a glove (the large vest measures as 29″ which is also River’s girth measurement, because of that we say the vest fits true to size). The Cooling Vest has a zipper closure and therefore is not adjustable (i.e. has a fixed size dimensions), we recommend picking a size as close to your pets measurements as possible to ensure a snug fit to avoid bagging when wet. 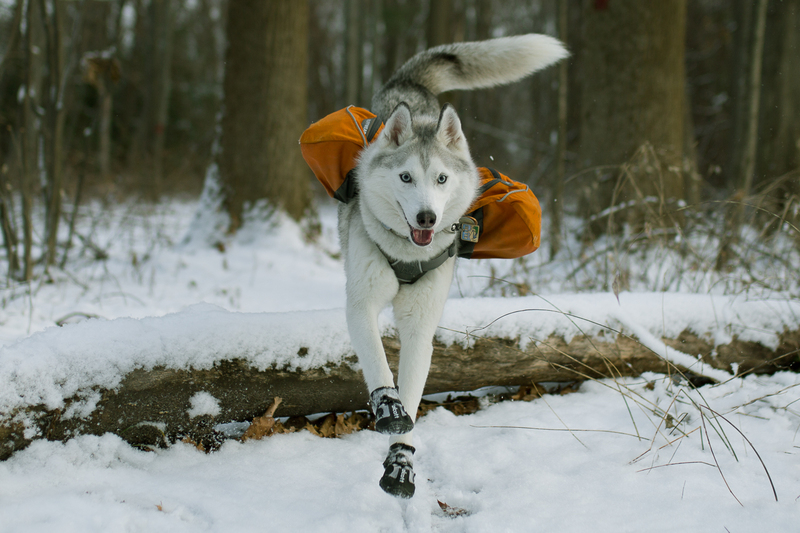 BUT I was surprised to find the vest did not fit our other husky, Rain, who has the same measurements as River, but has about five times the fluff factor (LOL), so if your dog has a very dense coat, take this into account when choosing a size. 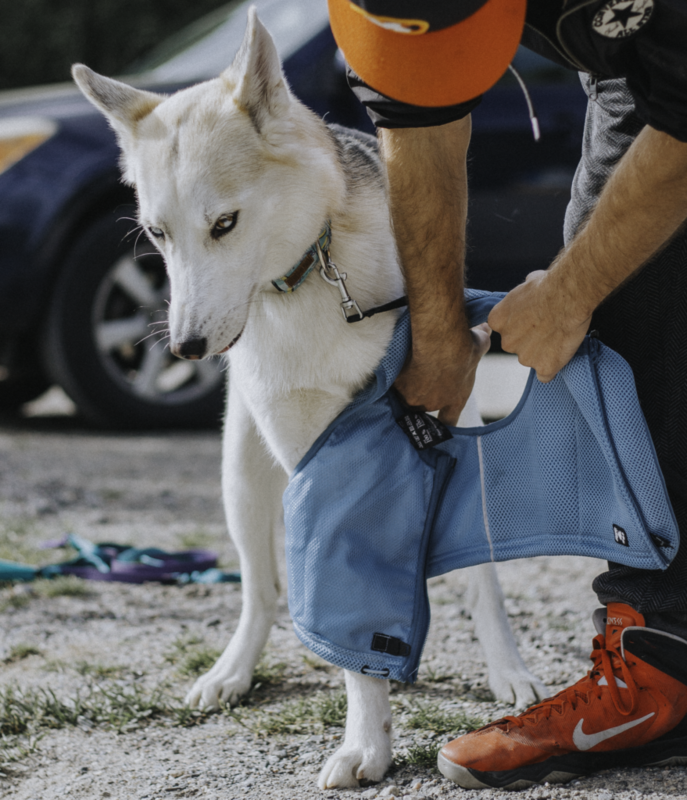 The XXS and XS sizes come with a leash attachment point, but the larger sizes do not as the vest is not designed to distribute weight from a pulling dog (so a collar or harness would be worn with it if your dog is not off leash). The vest covered River’s core section well, stopping just shy of her rib cage. 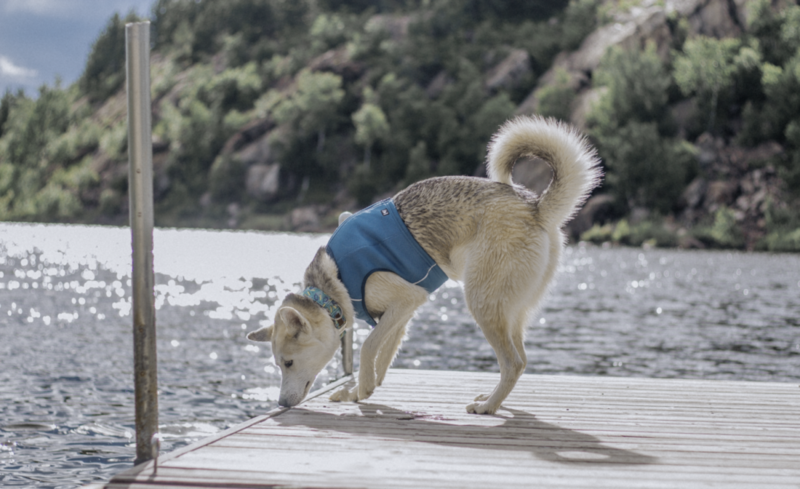 The extremely flexible fabric and compact design allowed River to roam and run the trails without even noticing the vest on her. 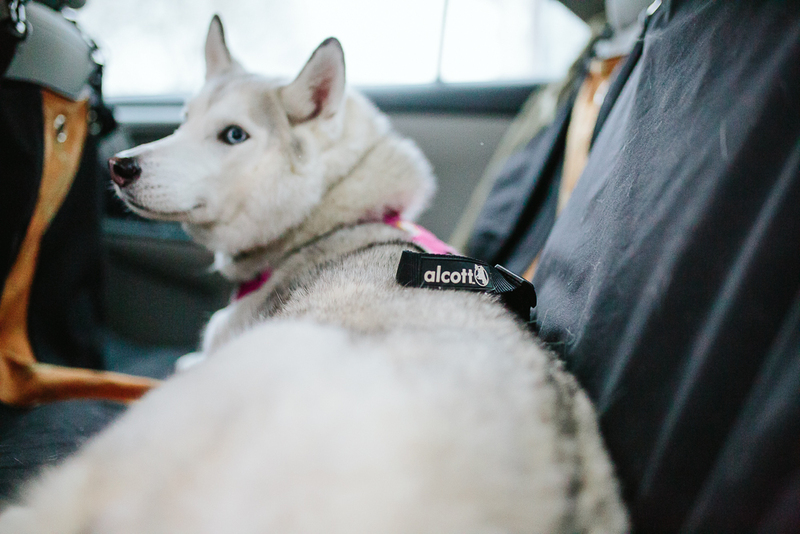 We also loved being able to pair the cooling vest underneath the Hurtta Active harness for our daily walks. 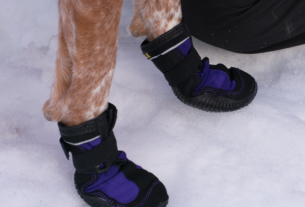 To put on the vest: the dog must step through both leg holes, then to make zipping up the vest easier, secure the clip at the base of the zipper which holds both sides of the vest together on the dog, then simply do up the zipper. We never had any issues with the zipper closure, it is still in excellent condition and has never come undone while in use. Although a bit of dog wrangling was required to put the vest on, I highly appreciated the vest’s snug fit, I loved knowing after I put it on I didn’t have to worry about the chance of it becoming lose. There is also a nice amount of padding on the underside (dog side) of the zipper so I didn’t have to worry about the zipper/rubbing or irritating the dog. Each of the leg and neck holes are rimmed with some extra padding, we didn’t have any issues, but one of our short coated Trailer Testers who is prone to chaffing notice a slight bit of chaffing around the legs. The material of the vest itself is very lightweight when dry, I was amazed at the amount of water (i.e. weight difference when wet) it was able to absorb. Hurtta claim’s this vest material has double the absorption capacity in comparison with terry cloth coats (and I believe it!). On our adventures the vest stayed wet for about 1.5-3.5 hours (depending on weather and activity) which we found impressive. Naturally the vest dried quickest along the spine and remained more wet around the belly longer. Another perk about the fabric of this vest is how easy it was to re-wet. After a few hours on the trail, I was easily able to pour water over the vest and the material wicked it up quite well. The only pitfall to this otherwise amazing fabric is it is susceptible to snagging; a few small snags have resulted from River’s boisterous play through densely wooded trails, I have trimmed the loose thread ends and haven’t had any further problems with unraveling. Overall I would highly recommend the Hurtta Cooling Vest to almost any dog owner looking for a solution t0 keep their dog cool in the summer. Ringing in at a cool $30 make this vest another big win for Hurtta!